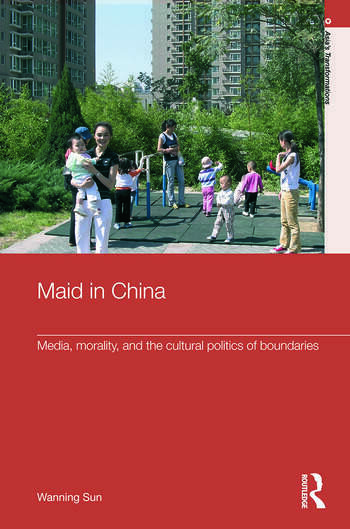 Maid in China is the first systematic, book-length investigation of internal rural migration in post-Mao China focused on the day-to-day production and consumption of popular media. Taking the rural maid in the urban home as its point of departure, the book weaves together three years of engaged ethnographic research in Beijing and Shanghai with critical analyses of a diverse array of popular media, and follows three lines of inquiry: media and cultural production, consumption practices, and everyday politics. It unravels some of the myriad ways in which the subaltern figure of the domestic worker comes to be inscribed with the cultural politics of boundaries that entrench a host of inequalities—between rich and poor, male and female, rural and urban. Wanning Sun explores a number of paradoxes that the domestic worker lives out on a daily basis: her ubiquitous invisibility, her enduring transience, and her status as an intimate stranger. Collectively, these paradoxes afford her a unique window onto the spaces and practices of the modern Chinese city. This intimate stranger’s epistemological status makes her an unauthorized yet authoritative witness of urban residents’ social lives, offering a revealing lens through which to examine both the formation of new social relations in post-reform urban China, and the new social uses of space—both domestic and public—engendered by these relations. Wanning Sun is Professor of Chinese media at University of Technology Sydney, Australia.